Georgia is a diverse and beautiful state that is steeped in a rich history. Visitors to the Peach State can expect to find almost any activity under the sun. Atlanta is a cosmopolitan city with a vibrant community filled with historic locations, museums, fine dining, live music, night clubs, sports and the list goes on and on. Take a trip back in time and experience true southern charm when you visit Georgians first city, Savannah. The state features 47 state parks that show you the different natural landscapes that call Georgia home. Make sure to leave yourself enough time to fully experience the state. Now stick with your travel friends at ResortsandLodges.com as we look at some of the top lodging destinations. The constant hustle and bustle of day-to-day life can certainly take a toll- sometimes what you need is an escape to somewhere you can let loose, relax, and put your mind at ease. Real Escape Properties is the perfect place to do precisely that! 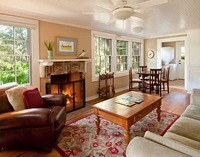 Real Escapes Properties' collection of St. Simons Island rentals is unmatched in quality! Among their plethora of properties you will find cozy cottages, luxury homes, stunning condos and more - all of which are located on gorgeous St. Simons Island, Georgia. First-class service is a given, and you can expect tip-top hospitality from start to finish from their friendly staff. As beautiful as the properties are, however, you're just (if not more) likely to fall in love with St Simons Island itself. The pristine beaches can be enjoyed in numerous ways, from kayaking along the shoreline to beach volleyball. Whatever the occasion, we're sure that a stay in a Real Escapes Property will be one you'll never forget! Fishing, kayaking and biking only make up a small portion of the fun activities you'll take part in on the island. Real Escapes' motto is "You already have a friend on the Island"! 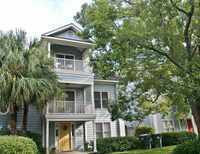 St. Simons Island off the east coast of Georgia is home to unforgettable lush landscapes and the condos, villas and private homes of Hodnett Cooper Vacation Rentals. Hodnett Cooper Vacation Rentals takes great pride in their multi award winning customer service and wide selection of property rentals. Regardless of your reason for visiting the island they have the perfect rental for you. Each of the 400 plus properties is professionally maintained, cleaned, decorated and furnished to strict standards. You’ll love the all the conveniences included with the rentals. Lets have look at the 2309 Ocean Road property. It will have you feeling like royalty with amazing views of nature, five spacious bedrooms, private swimming pool, dock, designer decor, large sitting area with fireplace, full luxurious bathrooms, plush furniture and much more. St. Simons Island is packed with fun activities once you're ready to leave your luxurious accommodations. Enjoy one of the many white sand beaches that are perfect for swimming, sun bathing, beach sports and photography. The island is nationally known for its beautiful golf courses, golfers of all skill levels will enjoy the local courses. Take a tour of one of the island's many historic buildings, locations and parks or go on a scenic hike on one of the island's trails that highlights the unique landscape. Their experienced staff is ready to help you plan your ultimate vacation, contact them today! The surface area of St Simons Island is roughly 18 square miles. St. Simons Island is home to historical locations that are great to visit such as St. Simons Lighthouse Museum, Bloody Marsh Battle Site, Fort Frederica National Monument and the Maritime Center. Beginning as a seaside dance club in the mid 1930’s, today The King and Prince Beach & Golf Resort is one of the premier destinations on St. Simons Island. All inclusive does not fully encompass the amenities and accommodations of The King and Prince Beach & Golf Resort. Set on the beautiful St. Simons Island the surrounding vistas and resort grounds inspire a feeling of being at tropical retreat. They offer you a wide range of accommodations that include regular guest rooms, oceanfront rooms, resort view rooms, seaside cabanas, high end vacation homes and multi bedroom beach villas. With all these options they can handle large and small groups with ease. All the rooms are tastefully decorated and have conveniences such as comfortable furniture, flat screen TVs, private patios, pull out bed, WIFI and the list goes on. All inclusive means dining options and option they have with the oceanfront ECHO Restaurant, The Sea Shack Bar & Bites and a conference room service program. Go for a round of golf at the resorts 18 hole par 72 course that has something to offer golfers of all skill levels. Take a break at The Royal Treatment Cottage and receive massages and treatments that will have you feeling rejuvenated. Other on-site activities include swimming pools, hot tubs, tennis courts and a fully outfitted workout facility. Call their expert staff today to plan the ultimate all-inclusive island adventure! St. Simons Island began as one of the most important settlements of the Mocama Missionary Provence of Spanish Florida in the 1600's. The King and Prince Beach & Golf Resort is the ideal place for your dream beach wedding. They look forward to helping you with every step of the planning process. They can accommodate from 20 to 300 people in their beautiful facilities. Contact them now to start planning the wedding you've always wanted. For a secluded and unique island adventure look no further than the cozy confines of The Lodge On Little St. Simons Island. Just off of Georgia's Atlantic coast you’ll find the postcard like St. Simons Island. Within the lush forests and salt marshes you’ll find the rustic luxury of The Lodge On Little St. Simons Island. They have accommodations that range from single rooms in the main lodge to an entire 10,000 acre private island that has housing for up to 32 people. The island is also great for family reunions, business retreats, groups of friends or just to have a private space to yourself. No matter which room, cottage or island you choose they are all furnished to luxury standards. You’ll find conveniences such as a/c, fireplace, large rooms, private patio, outdoor deck, deluxe linens and comfortable beds. 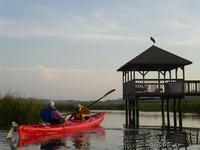 For activities St. Simons Island is a nature lover's paradise. The lodge features tours out into the pristine environment. You’ll love the diverse wildlife, dense wilderness and unforgettable vistas as you canoe or hike through the island. Hit the miles of clean and sun drenched beaches for some relaxation or fun beach games. Partake in a guided fishing tour to experience some of the best fishing in the Southwest United States. Get in touch now with the lodge now to reserve your spot for the vacation of a lifetime. St. Simons is home to miles of pristine beaches. Whether your into beach games or looking to tan in the abundant sunshine, there is plenty of beach for almost any activity. St. Simons Island is home to Fort Frederica National Monument. This was the military home of the Province of Georgia in the mid 18th century. 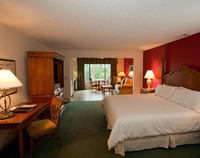 St. Simons Ocean Inn and Suites is a one of a kind boutique hotel right in the heart of the St. Simons Island Village. Ocean Inn and Suites provides its guests a variety of accommodations in their rooms and on-site. Enjoy the beautiful view of the island from your stand-up or sit-down balcony, complementary wireless internet, elegant rosewood floors, and a marble bathroom. As for the on-site amenities, guests can relax by the pool and even receive complementary pool towels, as well as park in a free covered parking spot. Ocean Inn and Suites sets itself apart with it’s amazing location, being only walking distance from the Pier Village District, Neptune Park, the Atlantic Ocean, and the Historic St. Simons Island Lighthouse. Check out the St. Simons Pier District to find the island’s hub for food, fun, and family. Grab a bite to eat and then browse the charming boutique shops. Being just kiddy-corner from the St. Simons Island Lighthouse, guests have no excuse not out check out this historic site. The Lighthouse is one of only five surviving light towers in Georgia and still serves as an active aid to navigation for ships entering St. Simons Sound. Visitors can climb the 129 steps to the top to experience a stunning view of the coast including Jekyll Island, the mainland (Brunswick), and the south end of St. Simons Island. The average temperature of St. Simons Island is 68°F. No two rooms at Ocean Inn and Suites offers quite the same view from its private balcony. Located on the shores of the Atlantic Ocean on Jekyll Island, Georgia, Westin Jekyll Island offers a family-friendly destination any time of the year! Westin Jekyll Island feature accommodations steps from the Atlantic Ocean. Indulge in their lavish rooms featuring iHome® docking stations, coffee maker with Starbucks® coffee, and complimentary high-speed internet. Rooms will balcony invite you to take in the beautiful Atlantic Ocean view and enjoy sunrises every morning! Westin Jekyll Island welcomes every family member and offers pet-friendly rooms. Don't leave Fido behind and enjoy this Georgia getaway together. Enjoy the beauty of the island, take a stroll down the beach, sink your toes into the sand, and enjoy the view! Westin Jekyll Island believes that four-legged family members are as important as the rest of the family, that is why they offer pet-friendly accommodations. Enjoy your Georgia getaway with your furry best friend! You're on the beautiful Georgia coast! Visit the Horton Pond and spot some turtles, alligators, and birds from the safety of the observation deck! Your kids will love this experience. With the Blue Ridge Mountains as a majestic backdrop, Mountain Vista Rentals features some of the best luxury rental properties in Big Canoe Resort. With over 50 different luxury condos, villas, homes and cabins, they will have the ideal rental regardless of your reason for visiting. All their units are new or recently remodeled. Each of the rentals is fully furnished, expertly decorated and features beautiful modern design. The properties range from one to six bedrooms that can hold up to 16 people, perfect for corporate retreats and family reunions. In your rental home you’ll find conveniences such as fully outfitted kitchen, spacious rooms, deluxe linens, priceless views, pillowtop beds, WIFI, Netflix and the list goes on. The Big Canoe Lake area is known for its lush rolling hills, mountain vistas and for it abundance of outdoor activities. Rental with Mountain Vista Rentals gives you access to many amenities of Big Canoe Resort. A few of them include swimming, hiking, workout center, fishing, boating, golf. In addition you’ll find restaurants with a wide range of meals, a full grocery store, gas station, chapel and even a post office. Their expert staff prides itself on their high level customer service and is ready to help you. Contact them now to make your next romantic getaway or well coordinated event unforgettable. Jasper, GA resides in the Blue Ridge Mountains and it is at an altitude of 1,463 feet. The population of Georgia in 1776 was roughly 40,000 people. 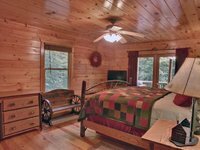 You’ll find few other places to enjoy the sprawling wilderness of the Blue Ridge Mountains than the luxury cabins of Georgia Mountain Cabin Rentals. 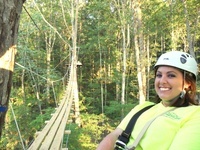 For over a decade Georgia Mountain Cabin Rentals has been putting vacation goers like you in the ideal lodging for their dream mountain excursions. They pride themselves on their customer service and look forward to helping you plan your vacation. With 28 fully furnished cabins they have the perfect cabin for any occasion. Every cabin is fully furnished and decorated with rustic inspired elegance. They hold from one to 14 people and feature a wide range of brilliant natural vistas. Their Mountain River Lodge has three bedrooms with private bathrooms, king sized plush beds, screened porch to soak in the clean mountain air, fireplace to keep warm, full kitchen to prepare all your meals and a hot tub to relax in. If you want to use your cabins fully outfitted kitchen the resorts grocery service will have it filled with food upon request. If you need help in planning and finding exciting things to do, the on-site concierge is there to help. From horseback riding to restaurant reservations they will help you make reservations and direct you to your destination. They offer plenty of packages and deals, so get in contact with their experienced customer service staff today. Not far from the rentals you'll find the town of Blue Ridge. This town is filled with things to do such as antique shopping, art exhibits, live music, fine dining, breweries and much more. The Applichian Trail begins at Springer Mountain in Georgia. The majestic Blue Ridge Mountains are the backdrop for your next luxury mountain getaway with Mountain Top Cabin Rentals. The goal of Mountain Top Cabin Rentals is to help you reconnect with nature and the simple pleasures of life. Their luxury accommodations provide you with comfort in the middle of the sprawling wilderness of the Blue Ridge Mountain region. Whether you're on a couple's romantic getaway or getting the family together for a relaxing vacation, Mountain Top Cabin Rentals has the perfect property for you. They feature 60 upscale rentals that can comfortably accommodate from one to 12 people. All the rentals have a rustic elegance in their decor. From the hand crafted wood paneling to the plush furniture, you're in for the mountain retreat of a lifetime. The cabins are designed to have you feeling right at home and feature amenities such as patios to enjoy the pristine surroundings, comfortable beds, luxury linens, fully outfitted kitchen for easy meal preparation, hot tub, full bathrooms and much more. When it comes to activities the local area does not disappoint. If you're a fan of the outdoors you’ll love the white water rafting, horseback riding, zip lines, tubing, fishing, hiking, biking and golf. Looking to stay indoors? Then take part in the local spa, restaurants, shopping, events, theater and the list goes on. Get in touch with their experienced staff to plan the mountain getaway of a lifetime! If your a fan of golf then Mountain Top Cabin Rentals is for you. There are multiple local golf courses such as Brasstown Valley Golf Course and Butternut Creek Golf Club. Lake Blue Ridge was created in 1930 by the Toccoa Electric Power Company. The lake cover 3,290 acres and is 80% of its shoreline is covered by dense forests. On the edge of the sprawling and beautiful Chattahoochee National Forest, you’ll find the upscale rentals of Cabins at Highland Falls. If you're looking for a picturesque family retreat, romantic getaway or anything in between, Cabins at Highland Falls is the ideal location for your next mountain adventure. Nestled on 33 acres of lush wilderness the resort puts you right in the middle of the natural landscape. They feature 10 cabins that are decorated and designed with the theme of rustic luxury. Each property is unique and can comfortably sleep between six and 11 people. You’ll find all the comforts of home including private patio to take in the stunning wilderness, beautifully hand crafted knotty pine paneling, comfortable furniture to relax in, plush bedding for a great night's sleep and a full kitchen to prepare all your meals. After you're all settled in go for a picturesque hike on the Appalachian Trail, observe the diverse wildlife, go on a horseback ride on the miles of local trails or take a break by Costa Creek and listen to the soothing sounds of the rushing water. 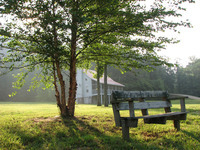 The cabins are not far from local dining, shopping, museums and entertainment. Contact their friendly staff today to plan your next mountain vacation! In 2013 the population of Blairsville was estimated to be roughly 566 full-time residents. Blairsville is located within Union County, which is situated in its entirety within Chattahoochee National Forest. Tucked away in the dense forests and salt marshes of St. Simons Island, Sea Palms Resort provides memorable views and unparalleled amenities. Recently undergoing a multi-million dollar renovation, this already great resort is now stunning. As soon as you arrive you’ll notice the manicured grounds and beautiful facilities. From the postcard like vistas to the abundant on-site activities, you’re in for a unique experience. Each of their 133 luxury rooms is designed to help you relax in luxury. You’ll enjoy all the comforts of home including plush furniture, luxury linens, large flat screen TV's, granite counters, fully loaded kitchens and a porch to sit out and soak in the beautiful surroundings. Whether you're visiting to make use of the 10,000 square feet of meeting space or for your next family reunion, Sea Palms Resort has you covered. There are so many amenities on-site that you may never leave. Play the 27 holes of scenic golf, take a swim in either of the pools, get a workout in at the fitness center, try your hand at horseshoes and the list goes on. When you get hungry head over to The Public House Restaurant and enjoy the diverse menu of culinary delights. As you explore the stunning St. Simons you’ll love the island tours, trolley rides, historic places, national monuments, parks and so much more. For an island experience you’ll not soon forget, Sea Palms Resort will deliver! The population of St. Simons Island is estimated to be 14,570 residents. St. Simons Island is the largest island in Georgia's world renowned Golden Isles. It is a beautiful resort community that welcomes your visit. Nestled in the forested foothills of the Blue Ridge Mountains, Dahlonega Spa Resort provides you with the ultimate in rest, relaxation and rejuvenation. Sitting on 72 acres of lush, rolling landscape, Dahlonega Spa Resort is the perfect place to get away from the hustle and bustle of everyday life. They feature 22 guest rooms that are furnished, decorated and maintained to luxury standards. Each room is equipped with a private bathroom, stunning views, comfortable bed, high quality linens and much more. If you choose to stay in one of the cabins you’ll be treated to your own kitchenette, a/c, covered porch and serene privacy. The relaxing tone of the resort is also reflected in its on-site amenities. Take a yoga class taught by a professional in the spacious 1,200 square foot yoga hall. Take a leisurely stroll on the lengthy trail that winds around the picturesque grounds. Relax and heal with one of their many massages and treatment all designed to have you feeling refreshed and renewed. Unwind in the outdoor Jacuzzi and soak in the fresh clean air. After a long day enjoy a warm cup of tea and sit back on the covered porch to watch a spectacular sunset. If you feel like leaving the resort for some outdoor fun there are miles and miles of trails that great for hiking and biking. Local streams and rivers are great for rafting, canoeing and fishing. For a getaway that will have you feeling recharged and satisfied, get in touch with Dahlonega Spa Resort for your next vacation. In Auraria a town near Dahlongea, Americas first golf rush took places in 1828. Make your next corporate retreat a memorable one at Dahlonega Spa Resort. The 1,200 square foot can easily hold 50 guests. This is the prefect location to inspire creativity and build your team. Get in touch with their staff today to plan your ideal meeting. Jekyll Island Hotel Club has been giving its visitors luxurious accommodations and exceptional customer service for 128 years. Located on Jekyll Island of the world famous Golden Isles, Jekyll Island Hotel Club gives you lush local vistas and abundant history. The Victorian architecture and design give the resort a classic feel and it's extended to each of their rentals. Five historic and beautiful buildings house the resorts 157 luxury suites. Each building is unique features a different design theme, while they all reflect the resorts devotion to your overall experience. You can choose to stay in one of their cozy single rooms or in the lap of luxury of the Presidential Suite. Every room is fully furnished and features conveniences such as full bathrooms with granite counters, comfortable beds, flat screen TV’s, plush linens, tasteful art and stunning views of the expertly maintained grounds of the resort. Jekyll Island Hotel Club extends their high end customer service to the on-site amenities like room service, lending library, putting green, croquet lawn, workout center fill with modern equipment and even historical tours of the grounds and buildings. If you're looking for rest and relaxation make sure to stop by the resorts spa. They feature many treatments like massages, skin wraps, hair cuts, facials and more. With so much to offer Jekyll Island Hotel Club will have you staying longer than you planned. Make your reservation now for a trip you’ll never forget. Lovers of golf rejoice! Jekyll Island features three full length courses and a nine hole course. All of the courses showcase the unique landscape of the island. The famous pirate Blackbeard made his home on an island off Atlanta's Atlantic Coast. It is now appropriately named Blackbeard Island Wilderness Area.